Scotland’s amazing wildlife and biodiversity is “thriving” on Scotland’s national forest estate, says Environment & Climate Change Minister, Stewart Stevenson. This was the message Mr Stevenson gave when he launched a new Forestry Commission Scotland booklet “Variety is the spice of life”, which showcases the organisation’s conservation work across the country. “Scotland is renowned for its stunning and dramatic landscapes – and for the wealth of magnificent wildlife that thrives in the array of habitats that our landscapes – and seascape - offer. “Thanks to careful and considered management by the Commission, our national woodlands and forests play their part, too, nurturing and sustaining a multitude of wonderful creatures and helping both common and rare species to flourish. “Ahead of 2013 being celebrated as the 'Year of Natural Scotland', this attractive booklet gives an insight into the work that is being done to help conserve and enhance the amazing variety of species that can be found on our national forest estate. The Kylerhea hide - which receives around 30,000 visitors per year - is probably one of the best places to see otters in the whole of the UK and is also a great place to view seabirds and at times seals and dolphins. The work of the Commission to promote wildlife and biodiversity is vast ranging from helping to raise capercaillie numbers, protecting red squirrels, bringing rare butterflies back from the brink to establishing some of Scotland’s most iconic wooded landscapes. An important and growing aspect of their work is to make wildlife more accessible for people to enjoy. Not only do these centres bring wildlife and visitors closer together, they are an important asset for supporting the tourism economy in rural areas. The Commission works with a range of partners and volunteers to manage a network of other wildlife viewing centres around Scotland including: Mull Sea Eagle Watch; Huntly Peregrine Wildwatch and; the Tweed Valley and David Marshall Lodge osprey viewing centres. 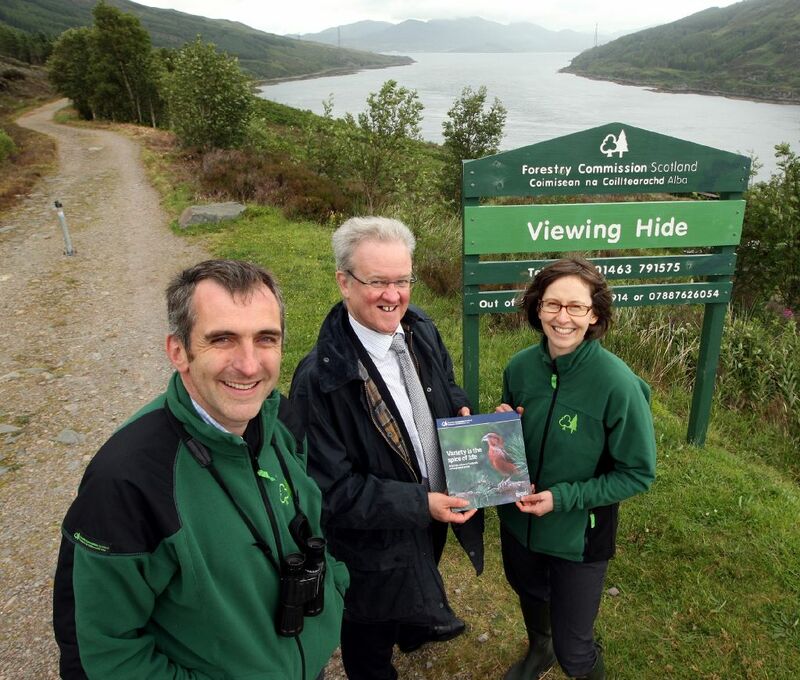 The Commission has additionally been involved with SNH, Wild Scotland and Tourism Intelligence Scotland in the production of a new wildlife tourism guide aimed at helping Scottish tourism businesses explore opportunities for growth. To see the publication visit www.forestry.gov.uk. Banffshire & Buchan Coast MSP Stewart Stevenson has written to Stagecoach Bluebird and Aberdeenshire Council over the threat to remove a local bus service from part of a Banffshire village. Stagecoach have started a three-month trial using a different turning area in Gardenstown following difficulties caused by illegally parked cars at the usual turning stance. However, there is concern in the community that if the trial is deemed unsuccessful, the bus service will terminate at the village petrol station. This would leave residents in the Seatown area with a considerable walk up the Gamrie Braes. Gardenstown is famous for its long, winding descent to the village harbour. “Clearly, any withdrawal of the current bus service from the lower part of Gardenstown will have a huge impact on the village and the service users. “Public transport should be run for the convenience of those who use it and those whom the bus company would wish to attract. I have raised the matter with both Stagecoach Bluebird and Aberdeenshire Council. Banffshire & Buchan Coast MSP Stewart Stevenson has welcomed the Scottish Government’s five-point action plan to help tackle the current pricing crisis in the dairy industry and find better ways to support Scotland’s dairy farmers. The action plan was unveiled by the Rural Affairs Secretary, Richard Lochhead following a meeting with representatives of NFU Scotland and he has also called for a dairy summit with his UK and Welsh counterparts in advance of the Royal Welsh Show. These developments come hard on the heels of mass demonstrations at Westminster, where around 2,000 farmers from across the UK gathered to voice their concerns and demand action over the latest round of milk price cuts to the UK Government. Commissioning a long-term strategic review to establish where the dairy industry wants to be in 10 years and how to get there. “It is clear dairy farmers are angry and frustrated about the current situation, and I can understand why they feel so aggrieved. “The Rural Secretary is working hard to find a solution that meets the needs of our farmers and helps them to continue in business. Mr Lochhead’s meeting with NFU Scotland and his five point action plan are all steps to try and find a way to maximise the potential of the sector while ensuring farmers are paid a fair price for their valuable product. Banffshire & Buchan Coast MSP Stewart Stevenson has welcomed the announcement by Lloyds Banking Group that it is to sell the former TSB Scotland branches in Buckie, Banff, Fraserburgh and Peterhead to the Co-operative Bank. The local MSP says that the move should secure the future of the branches and local jobs as a result. Lloyds Banking Group owns Bank of Scotland which also has branches in each of the towns. When Bank of Scotland and Halifax merged, all local Halifax branches closed leading to a reduction in competition and choice in the high street. “While there are a number of areas which are still to be clarified, I welcome the fact that these former TSB Scotland branches will now once again be operating independently from Lloyds Banking Group. “History shows us that where a bank owns more than one branch in a town, it is not too long before there are closures and only one branch is left. We have seen this quite recently with the Bank of Scotland and the Halifax, but also in the past with the Royal Bank and the National Commercial Bank, and the Clydesdale and the North of Scotland Bank. I am convinced that had things carried on, we would have seen the closure of either the Bank of Scotland branch or the Lloyds TSB branch in each town where they both have a presence. “With the Co-operative Bank taking over the business, this should mean increased choice and competition, which can only be good for the consumer. In addition, this should also mean that the jobs in these branches are secure for the future. Banffshire & Buchan Coast MSP Stewart Stevenson has welcomed the announcement that new advice and specialist information for healthcare workers and armed forces veterans will help to improve the care received by Scotland’s veterans. A new leaflet raising awareness for healthcare providers has been launched to help to ensure that health workers are able to identify veterans. Making sure that veterans are known to health workers is an important part of ensuring that they are able to access specialist services through the NHS, including priority treatment for Service related conditions where needed. Additionally a separate source of information, the veteran healthcare guide, which is available online, will offer advice on physical and mental recovery and information on specific health concerns directly to veterans. “It is important that we do everything we can to support our veterans. After everything they have given on our behalf, we have a duty to ensure that they have all the support and care that they may need. “Ensuring that healthcare providers are fully aware of the support and priority treatment that is available to veterans will go a long way towards ensuring that as many veterans as possible are accessing the help they are entitled to. “Making sure that veterans have access to all the information they need is an important part of making the readjustment back to civilian life. “In many cases, that will involve providing information on specific health concerns or advice on mental and physical recovery. All that information is now brought together where it can easily be accessed online. Banffshire & Buchan Coast MSP Stewart Stevenson is supporting Samaritans National Awareness Day, which takes place on Tuesday 24th July (24/7). “Samaritans offers round-the-clock emotional support service and relies entirely on fundraising and donations from the public and companies as it is a charity. “The 24/7 day is an opportunity to highlight the excellent work that the Samaritans does and also to encourage people to volunteer which I trust will prove a very rewarding experience. Extremely cold weather for prolonged periods of 2010 has had a major impact on Scotland’s emissions, Environment and Climate Change Minister Stewart Stevenson said today. Some of the coldest temperatures experienced in 91 years resulted in households across Scotland being forced to keep the heating on and resulted in a significant rise in both residential and power station emissions. Latest statistics published today indicate that Scotland's emissions rose by 1.9 per cent in 2010 on the previous year, when taking emissions trading into account. However, the longer term trend still shows a substantial emissions reduction of 24.3 per cent since 1990, over half way to the Climate Change Target of 42 per cent by 2020. Historic emissions data has also been significantly revised upwards due to new data and changes in methodology. This revision contributes to Scottish emissions being higher than the statutory target for 2010 under the Climate Change (Scotland) Act but still showing a substantially better position than the UK as a whole with emissions in Scotland down by 24.3 per cent compared with 20.2 per cent across the UK. In addition provisional figures from the UK Department for Energy and Climate Change indicate that emissions fell seven per cent in 2011, suggesting that emissions reductions will get back on track in 2011. “The Scottish Government remains fully committed to delivering ambitious and world-leading climate change targets. We always knew it would be a challenging path to follow when these were set and that year to year fluctuations were inevitable. “It is therefore no surprise that domestic heating emissions rose as a result of the extreme weather. Scotland faced its coldest winter temperatures in almost a century – and quite rightly people across Scotland needed to heat their homes to keep warm and safe. “The longer term trend reveals Scottish greenhouse gas emissions have fallen by around a quarter since 1990, signalling we are still on track to achieve the 2020 target. The progress on policies on efficient home heating, transport, waste, forestry and above all renewable energy generation, which has almost doubled since 2007, will ensure further progress in the years to come. Later this year the Scottish Government plans to lay before Parliament its second report on proposals and policies for reducing greenhouse gas emissions. This will outline how the ambitious targets can be met well into the next decade. We will continue to seek additional innovative ways to address climate change and drive down emissions. Banffshire & Buchan Coast MSP Stewart Stevenson has condemned the Tory/LibDem coalition for failing to give Scotland proper control over the Crown Estate’s Scottish assets. The MSP’s comments come after the UK Government confirmed it will not devolve control of the Crown Estate. Westminster's response to the Scottish Affairs Select Committee report on Crown Estate details no further devolution of responsibility or revenue and rejects cross party calls from both the Scottish and UK Parliament's for full devolution of the Crown Estate to communities across Scotland. Mr Stevenson also highlighted that if responsibility for the Crown Estate had lain with the Scottish Parliament, local people campaigning for repairs to the pier at Crovie would have found it much easier to convince the authorities of the need for action. "The UK Government has ignored the wishes of people in Scotland, they have ignored logic and, in particular, they have let down our coastal communities. “Crown Estates control a vast amount of land along the coast and in their estates such as Fochabers and Glenlivet. “This is public land in Scotland that should be accountable to the Scottish Parliament. It is completely illogical to maintain the status quo when the majority of environmental, agriculture, fisheries and economic development issues are devolved to the Scottish Parliament. “Scotland can and should have responsibility for her own coastline, her seabed and the development of the renewable energy industry offshore. If responsibility lay with the Scottish Parliament, I’m sure we would have found it much easier to convince the powers that be of the case for repairing the pier at Crovie, to give just one example. Minister for Environment and Climate Change Stewart Stevenson has thanked everyone involved in coping with the flooding and heavy rain that is causing disruption across Scotland, and is urging them to stay vigilant. Mr Stevenson spoke after chairing a meeting of the Scottish Government's Resilience committee (SGoRR) earlier today, in response to the heavy rain that has fallen across the country. The meeting brought together representatives of the Met Office, emergency services, SEPA, Transport Scotland and local authorities. Heavy rain has caused flooding in several areas including Fife, Kinross and the Lothians. Roads and several rail services have been disrupted, while measures have also been taken to assist some householders whose homes are flooded. Although the weather is expected to become more settled tomorrow, rain is forecast in parts of the Highlands this evening and the Borders tomorrow which may cause further disruption. "Heavy rain and in particular flooding is a matter of great concern to our communities. We are doing all we can to identify and deal with problems where they are arising. "We are in close contact with emergency services across the country. Some areas are worse affected by the heavy rain than others and in particular, members of the public in Fife, Kinross and the Lothians are experiencing difficulties. "Our emergency services have been working very hard all weekend to help deal with the problems the weather has presented. Local authorities have also been responding to community needs. 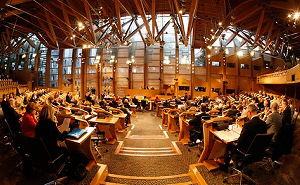 In Edinburgh, for example, City of Edinburgh Council is offering practical support and relief, such as access to dehumidifiers, to individual householders affected. "I thank everyone involved in the relief efforts across Scotland. But I also want to thank members of the public for their continuing resilience. "While the forecast is improving in most parts of the country, there is absolutely no room for complacency. We will continue to closely monitor developments and provide assistance where we can. "There are measures people can take to protect themselves and their property and to minimise any potential impact. For an up-to-date list of Flood Alerts and Flood Warnings please visit SEPA's website or phone Floodline 0845 988 1188." Scotland’s Biodiversity strategy is set for a refresh to ensure it meets with new international requirements. Environment Minister Stewart Stevenson launched the consultation today during a visit to the Linn of Dee as part of his three day visit to the Cairngorms National Park. Following the development of new biodiversity targets at UN and EU level the Scottish Government is committed to refreshing the 2004 Scottish Biodiversity strategy to ensure it meets the new challenges up to 2020. "This consultation will set out how we will meet our international obligations to halt biodiversity loss and protect our vital ecosystem services by 2020. The pressures on the natural environment from habitat loss, nutrient enrichment and climate change need urgent action and projects such as this are a great example of managing our land to meet these challenges." "The Scottish Wildlife Trust has been pleased with the way the Scottish Government has involved and consulted us early on in the development of the new 2020 Challenge for Scotland's Biodiversity. Scotland's natural environment is a massive cultural and economic asset which has been taken for granted for too long. "This new initiative from the Scottish Government recognises that the plethora of hidden benefits which nature provides need to be better understood, valued and managed. These hidden benefits include the food we eat, clean water, flood protection, carbon storage, educational resources, recreation, health and well being and economic vitality." "The Scottish Government and SNH have worked closely with many organisations to try and make sure the 2020 Challenge will secure a strong and healthy future for Scotland's nature. Healthy nature is incredibly important to us all - not just for air, water and food, but for business, welfare and economic recovery. We need nature to thrive - as much for us as for nature itself." The Minister for the Environment and Climate Change, Stewart Stevenson has made a special trip to the heart of the Cairngorms National Park today to see for himself the work being carried out in the Park's hills and mountains as part of a 4-year, £2.1million path construction project. Managed by the Cairngorms Outdoor Access Trust (COAT), the Cairngorms Mountain Heritage Project is improving and enhancing 17 footpaths in the National Park's mountains, totalling 94.26kms or just over 58 miles, with some of these routes dating back to the Middle Ages. 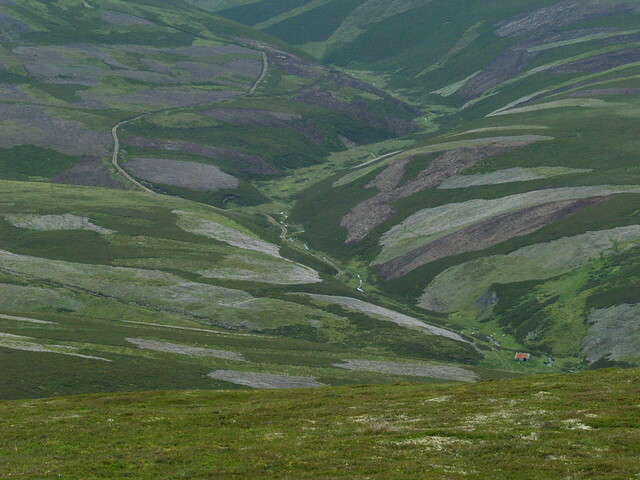 The largest continuous area above 1,000m in the UK, the unique landscape of the Cairngorms National Park attracts more than 1.4 million visitors per year with even the most remote paths clocking up 12,000 users annually. This continuous wear along with the harsh climate conditions has caused paths to deteriorate and resulted in damage to nearby habitats. "Almost one and a half million people visit Cairngorms National Park every year so it's enormously encouraging to see first hand the work that's underway to improve the path network that helps them explore this unique natural landscape. "Some of these routes have been around since the Middle Ages, when they were used as drove tracks to move cattle from Aberdeen and it's thanks to projects like this that they'll continue to be used sustainably for many years to come. "I am also pleased to see that local people are getting the chance to improve and enhance their skills by taking part in the environmental conservation training programme that has been running on-site." As well as significantly improving a series of mountain paths, helping to protect the fragile environment around them; the project is also delivering a training programme for 8 local people in environmental conservation. The trainees, who started back in April, are working towards an SVQ in Environmental Conservation as well as an industry recognised certificate in path skills. The trainees are spending 8 months learning their trade 'on the job', with the course preparing them for employment with the various contractors working on the year Cairngorms Mountain Heritage Project. There are also opportunities for communities to get involved in interpretation projects associated with the importance of the heritage of these mountain routes and an 'Adopt a Path' scheme is set to be launched soon providing volunteering opportunities through future monitoring and maintenance of these special paths. The Heritage Lottery Fund has awarded the project £720,000 and funding has also come from the European Regional Development Fund (£722,000) and the various key agencies involved in the project including: the Cairngorms National Park Authority (CNPA); Scottish Natural Heritage; Highlands & Islands Enterprise; Royal Society for the Protection of Birds and the Scottish Mountaineering Trust. 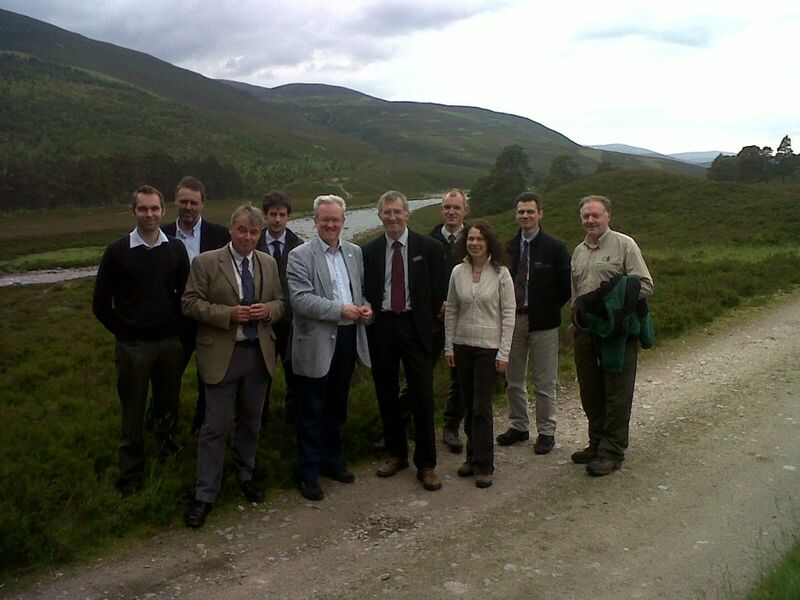 "This project is a significant investment in the mountain heritage of the Cairngorms. It is only possible to deliver on projects such as this when we are able to bring together such a wide spread of funders, who can see the clear value in terms of sustainable tourism and conservation. This would simply not be possible in the current economic climate without grants from the Heritage Lottery Fund and European Regional Development Fund." "Conserving and enhancing the natural and cultural heritage is the first aim of the Cairngorms National Park, which makes this project extremely relevant. With input from a variety of agencies this project is not only going to deliver benefits in terms of caring for our mountains but will help promote local skills development. "HLF's support for wildlife and natural heritage projects is an important part of our work. To date, we have invested over £71.5million in land and countryside projects such as this across Scotland. By encouraging people to experience nature first-hand we are stimulating their interest in the natural world and hopefully inspiring their enthusiasm for its long-term conservation." "We're delighted to be supporting this project. As well as restoring damage to sensitive mountain plants and helping to cut down on disturbance to rare birds on the plateau, the adopt-a-path scheme is an exciting and unusual opportunity for local hillwalkers to get involved in looking after the paths they use and care about." The Minister's visit to the see the Mountain Heritage Project is just one in a series over the course of three days. During his time in the National Park this week Mr Stevenson has also been to the Creag Meagaidh National Nature Reserve yesterday (Wednesday 4 July) and today he has been to Insh Marshes and later will meet members of the Glenlivet Cats Protection League who are involved with the Cairngorms Wildcat Project. Tomorrow he is going to the Monitor Farm at Lost to meet with the Scottish Agricultural College and local land managers to discuss CAP reforms and other issues affecting farming before visiting Edinglassie Estate - one of the estates included in the Wildlife Estates Initiative. His visit concludes at the Linn of Dee where the Minister is meeting representatives from the CNPA, Forestry Commission Scotland, Scottish Natural Heritage and the Dee Fisheries Board to view the impacts of various land management activities. Banffshire & Buchan Coast MSP Stewart Stevenson is highlighting the importance of National Transplant Week, which takes place from 9th – 15th July. “National Transplant Week is the annual UK-wide awareness week to increase understanding of organ donation and encourage more people to join the NHS Organ Donor Register. Astonishingly, despite more than 10,000 people requiring a transplant – less than a third of people in the UK have joined the organ donor register. “The campaign theme is 'Pass it On' - focusing not just on signing up to the Register but also the importance of passing on your donation wishes to family and friends so they know what you would like to happen after your death. “The relationship between conservationists, landowners and gamekeepers is continuing to improve through collaborative efforts such as this accord. SNH and GWCT have resolved to continue to urge good practice in animal welfare and compliance with wildlife legislation. Both parties are working together to promote this, alongside developing new approaches to resolving conflicts in the countryside. The accord also recognises SNH and GWCT’s shared interest in having a good evidence base to support integrated and balanced land management. The Langholm Moor Demonstration Project is an excellent example of an existing partnership, with SNH and GWCT working well together and with other organisations. National surveys of capercaillie and black grouse have been jointly carried out, and there are plans to broaden this work to cover other species. This agreement builds on past cooperation, including an initial agreement in 1998, as well as 10 joint projects, such as the Langholm Moor Demonstration Project. Since 1998, both organisations have broadened their remits, making a new agreement necessary. SNH has merged with the Deer Commission for Scotland, and now has a more prominent role in wildlife management. Stewart Stevenson, SNP MSP for Banffshire & Buchan Coast has today welcomed the news that Buckpool Golf Sports and Social Club to receive £2000 from the Big Lottery Fund’s 2014 Communities programme, as part of the wider engagement programme for the 2014 Commonwealth Games. Buckpool Golf Sports & Social Club, based in Buckie will use the funds to run a coaching course over the Summer School term as an after school activity for children aged between 9 to 16 years from schools in the local area. Mr Stevenson has written to congratulate the club is hopeful that this funding will support them, and allow them to develop their activities which are of great importance to the local community. “I am once again delighted to see a local organisation benefit from a Big Lottery Fund award and wish them all the best with the summer coaching programme in which it is to be invested. The 2014 Commonwealth Games is not just a great spectacle for Scotland, but is about building a legacy of well-being and activity before, during and after the games. The 2014 Communities programme aims to encourage more people to take part or volunteer in sport or physical activity as well as encourage greater community cohesion in the run up to the Commonwealth Games. Buckpool Golf Sports and Social club, are therefore, deserving of praise for their initiative. New legislation came into force today to protect Scotland’s biodiversity from the serious threat of invasive non-native species. The control of non-native species – such as Japanese Knotweed and Signal Crayfish - is estimated to cost Scotland £244 million per year. Scotland is the first country in the UK to protect native species in this way. The changes in the law will not change everything to do with non-native species – pet owners can keep exotic pets responsibly and gardeners will still be able to plant species such as roses and sweet peas in their gardens. “We have taken an internationally agreed approach to non-native species – based on prevention of introduction as we can’t always predict which species will become a problem – and have become the first country in the UK to translate this into law. The Scottish Government has produced a Code of Practice on Non-Native Species to help people understand their responsibilities when dealing with non-native species and to understand which public body has responsibility for which habitats.